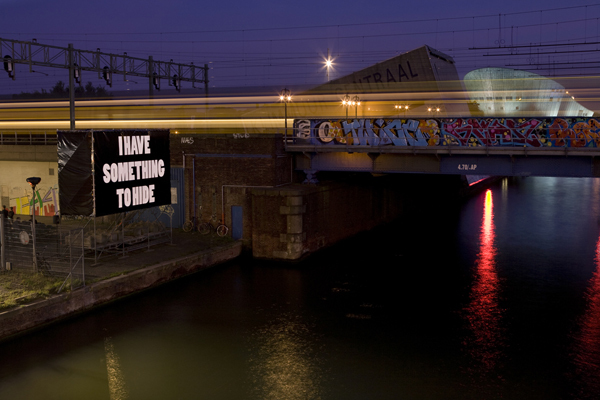 Installation in the public space. 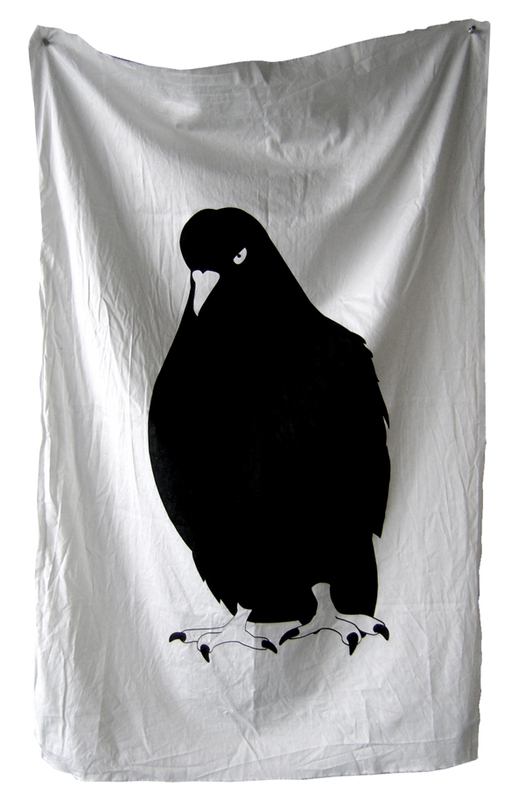 This symbolic action is a poetic response to our problems concerning privacy nowadays. For The Privacy Project, originally initiated by the VPRO and Holland doc, we at the Design Department of the Sandberg Institute were asked to realize a project about Privacy. We chose to step outside of the system and to communicate in the most radical private way which, to our knowledge, exists. 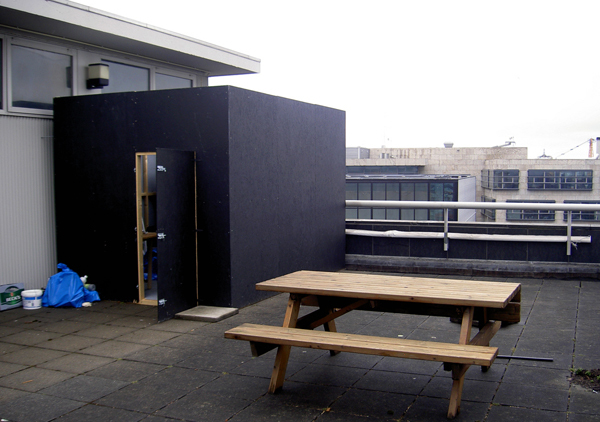 On the roof of the Post CS, we have built a giant inbox where our homing pigeons lived from April till July 2008. 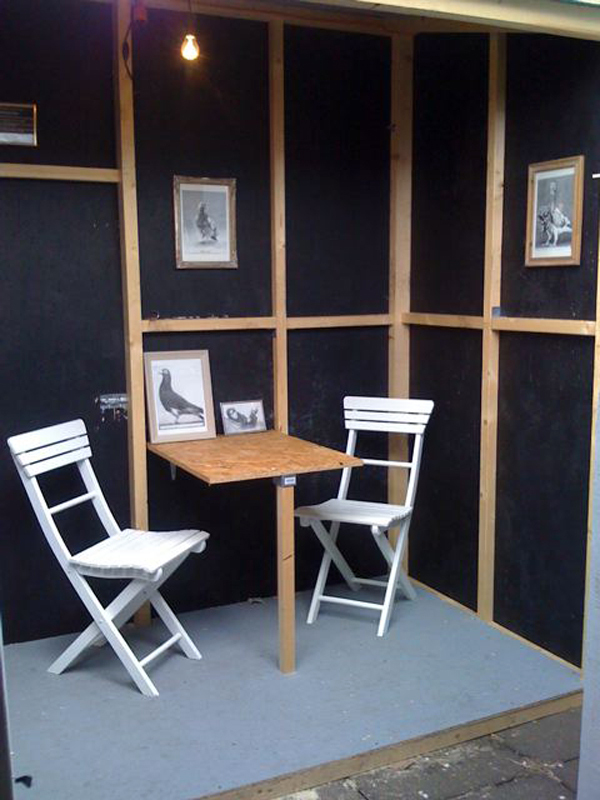 For one month we comunicated only using the pigeons instead emails and mobiel phones. Read about the project on Vrij Nederland. The logo of the project, the emblem of the group, is designed by graphic designer Isabel Lucena and it is inspired on the logo of a group of activists which also had the need to act underground, hiding from those in power, the Black Panthers. Our operative base, built by Kamiel Vorwerk, was standing at the 11th floor of the Post CS, the former Central Post Office of Amsterdam, close to the Central Station. After the project was terminated, in july 2008, this building has been demolished. 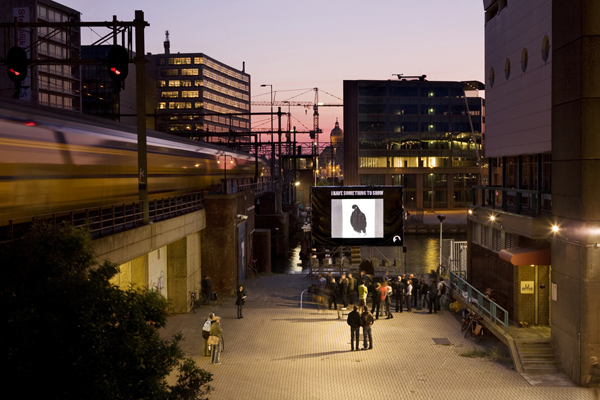 The documentary about the project, together with other artworks and the outcomes of the research were shown during Experimenta Design Amsterdam, in September 2008 at our operative base on the canal, close to Amsterdam Central Station.